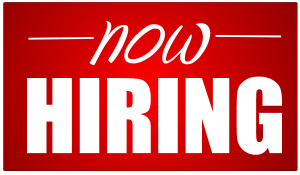 – We are looking for individuals that have experience with installation of metal roofing on residential and commercial applications.. We are looking for individuals with a valid drivers license who are dependable, have a willingness to work and have a good attitude. Applications include 5-v,corrugate, snap seam and mechanical lock roof systems. A firm understanding of applicable flashing details associated with these systems is a necessity. – We are looking for individuals that have experience with installation of copper roofing on residential and commercial applications. We are looking for individuals with a valid drivers license who are dependable, have a willingness to work and have a good attitude. Applications include standing seam and flat seam roof systems. – We are looking for individuals that have experience with installation of liquid applied waterproofing systems on residential and commercial applications. We are looking for individuals with a valid drivers license who are dependable, have a willingness to work and have a good attitude. Applications include liquid applied waterproofing systems on both roofs and “walk on” decks. – We are looking for individuals that have experience with all phases of carpentry on residential and commercial applications. We are looking for individuals with a valid drivers license who are dependable, have a willingness to work and have a good attitude. Applications include light framing and framing repairs along with some experience with exterior siding and trim. Individual must be comfortable with heights in some cases. – We are looking for individuals that have experience with gutter installation. We are looking for individuals with a valid drivers license who are dependable, have a willingness to work and have a good attitude. Applications include installation of 5-k, half round, box style and custom fabricated gutters. Gutter materials include: copper, aluminum, steel and zinc. – We are looking for individuals that have experience with slate installation. We are looking for individuals with a valid drivers license who are dependable, have a willingness to work and have a good attitude. Applications include installation of slate with all applicable flashing details and a firm understanding of how a slate roof system works. – We are looking for individuals that have experience with installation of single ply and bitumen type roof membranes. We are looking for individuals with a valid drivers license who are dependable, have a willingness to work and have a good attitude. Applications include installation of TPO, EPDM, PVC and or bitumens and a firm understanding of how these roof systems work.